Fat to fit diaries: If I were wearing goggles and a nose clip, where might I be? If I were wearing goggles and a nose clip, where might I be? As some of you may have guessed from the title, I am talking about the swimming pool. With calf sprain preventing me from running for at least for the remainder of this week, I have switched to swimming in order to keep my aerobic conditioning. On Tuesday morning I went to the pool before work, and swam a nice, gentle kilometre. Hallenbad Oerlikon is a 50m swimming pool so that is only 20 lengths. I did 10 lengths of breaststroke and 10 lengths of front crawl. Today after work I went again, and this time I did 1.25km at a gentle pace. 15 laps of breaststroke and 10 lengths of front crawl. I also went to meet some of the members of the Free Radicals triathlon club, as I am considering to join them for swim training in future. Before that though I would like to build a decent swimming-specific fitness base. That's one of the reasons that I am also going to go tomorrow again, and this time I will swim 1.5km if time permits. Anyway, that's enough of my plans, as what I really wanted to tell you in this post is just how much nicer I find it to swim with a nose clip than without one. Until today I have never used a nose clip, but when I did the Zurich lake crossing, and also on Tuesday when I was in the pool, I noticed that a fair bit of water goes up my nose. Especially when I attempt to do flip turns, or tumble turns as they also known. Not only does it not feel that nice, it also leaves me feeling congested and sneezing for several hours afterwards. I am not sure quite sure why that is, but I guess it is some kind of allergic reaction to the chlorine. Regardless, today I decided to buy a nose clip and try swimming with that. Nose clips are pretty cheap by anyone's standards, and the one I bought works really well and is not at all uncomfortable. It did leave a small red imprint on my nose for several hours afterwards, but whilst I was swimming I hardly noticed it was there, except for the fact that no water entered my nose like it does usually. 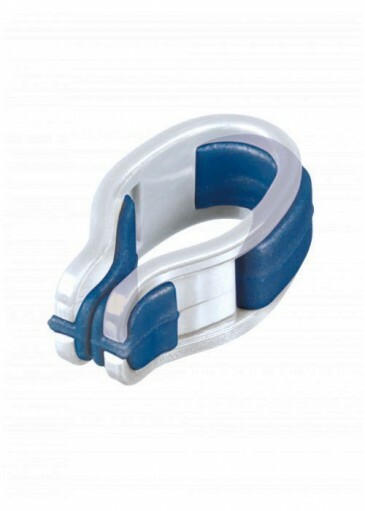 If water up your nose is one of the main reasons you don't like swimming, then I strongly recommend you to invest a couple of bucks in a nose clip. The other thing that is important for swimming in chlorinated pools is a good pair of swimming goggles. I have had a pair for years now, but some water always manages to get in, and I keep having to clear them. I figured it was because they were old and the seals were damaged, but when I inspected them I found nothing. Based on this, I figured it must be that they do not fit me very well, so I decided to try and find some goggles that fit me better and so don't let in any water. At the swimming pool shop, they had around 20 different types of goggles to try on. The women instructed me on how to find out if they are a good fit or not. Basically, when you press them to your face, you should then be able to remove your hands, and without using the straps they should remain stuck to your face by suction power alone. If they fall off then they are not a good fit. Also they should not hurt your nose or cheeks or any other parts of your face. After trying on all the goggles, there was only one pair that fit me properly, the AquaSphere Vista goggles. They were very large goggles so I guess that means I must have a big head. Anyway, I bought them and after swimming in them tonight I have to say that so far they are fantastic. 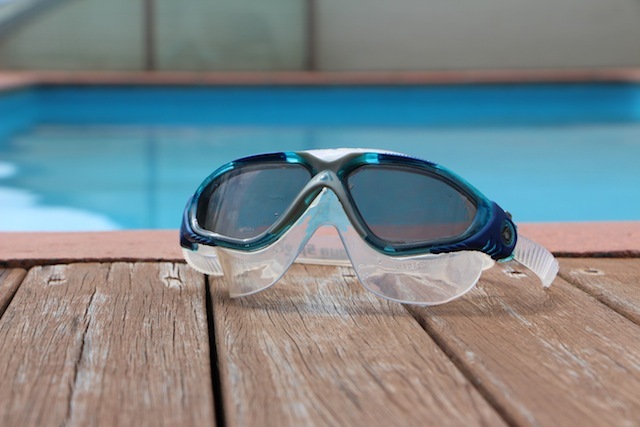 Not a single drop of water entered the goggles during the time that I was swimming, they felt comfortable, they didn't stream up, they give you a good wide vision and they are very easy to adjust. The only downside is that they did not come cheap. I also saw someone mentioning in a review that they scratch easily, but that I have yet to find out. So far so good. A thumbs up from me! So no more excuses about water in your eyes or up your nose please people. Get a decent pair of goggles and a nose clip and come join me in the pool. As I corrected in a later post, a nose clip is really not necessary if you learn proper breathing technique. Exhale steadily through your nose whilst underwater. This prevents water from being able to enter it. I have now learnt proper breathing technique and have no problems with water entering my nose whilst swimming.